Cannabis legalization has been a long time coming, but Bruce Linton is looking much further into the future than that. The founder and co-chief executive officer of Canopy Growth Corp., based in Smiths Falls, Ont., imagines a day when cannabis-infused drinks are on shelves next to the vodka. “The next wave of products are going to be massively more interesting and popular than the first ones,” he says about Canada’s cannabis market. Now, a few days before the Oct. 17 legalization of recreational cannabis, Mr. Linton talks about hanging out with Snoop Dogg, teaching his sons about his company’s product and sparking innovation over the next year or two. Bruce Linton, founder and co-CEO of Canopy Growth. Mr. Linton was interviewed for I’ll Go First, a new podcast series about entrepreneurs produced by The Globe and Mail. So let’s get this out of the way first: Have you ever smoked cannabis? Yes, I have. It was when I was in university. I think, like many people, I’m not necessarily a fan of combusting things and inhaling the result. Rather than understanding what I was getting into, I jumped right in the deep end with people who consumed a lot of cannabis. The effect was that I became the entertainment for the next hour or two because I was disproportionately stoned compared to them. I give you that detail because I think a big part of the cohort who are going to be interested in cannabis in Canada may or may not have used it before, and they likely would prefer to get it from a stabilized, responsible supplier. We’ll call it a “moderate on-ramp” for them. You don’t want to try and pretend you’re Snoop Dogg because I believe, having hung out with Snoop now several times, he would have been just fine with the product that I used the first time, and I was not. How often do you see Snoop Dogg? He came out to Smiths Falls, Ont., recently. Smiths Falls is essentially three hours east of Toronto, one hour southwest of Ottawa, three hours west of Montreal, so in the middle of nowhere. Each year in order to appreciate the community, we put on a show on our front lawn. If you live outside the community you need to pay 20 bucks and we take all that money and dedicate it to creating a better community. The opening act is my two boys and their band, they’re the ripe old age of 15 and 17 now. Anyway, this year Snoop Dogg did a whole one-hour-plus set, and it was amazing. It was also amazing because this was in that town I described, which had also been really quite downtrodden by Hershey departing, as well as most of the other employers. So the town hadn’t had many really great things happen the last 15 years until a marijuana company occupied the biggest building and then ultimately brought Snoop to have a party on a front lawn and do a great set on a Saturday night. Tell me a little bit about being a father. There are some advantages and disadvantages of having me for a dad. The disadvantage list is reasonably long – I work fairly hard, I’m very busy and I can’t always make it to everything. The advantages list includes getting to open for the shindig each year. How do you talk to them about cannabis? We have a visitor centre now at the Smiths Falls facility, and people, including their children, can learn about the history of cannabis, the science of cannabis, and see cannabis plants in various states. And I refer to that as sort of like swimming lessons for cannabis. And my kids have had a lot of swimming lessons for cannabis because they understand a lot about it. Which means they’re unlikely to come to harm related to cannabis because they comprehend why you’d have to be completely out of your noggin to just buy a bag from somebody you don’t know. My kids have been coming to the facility from the day I began building the thing, and they understand it. They’re proud to wear the shirts, they explain to people the difference between medical use and otherwise. How do you navigate being an innovator in this new industry? You need to be a nerd; that’s very helpful. I like technology, I like public policy. If you’re going to create something that is going to be heavily regulated, you have to rely on technology in order to make it scale. You have to be of the view that rules are made to be followed and evolve but not broken. The reason I stepped into this sector is because of a newspaper. If you think about it, there are probably 100 good businesses presented in the newspaper every day. And the one that I saw was back in 2012; Stephen Harper was our prime minister, and the police chiefs of Canada were not happy with the laws regarding marijuana because it was not evident who was a criminal and who was not. My theory was that Mr. Harper would be very unlikely to get re-elected if he didn’t have the support of the people who like the police, so he would fix it. And with that I started digging around to find out what the public policy was and might be. Do you find that you have to be a spokesman for cannabis? This sector does need a spokesperson, and the person has to welcome the duty of explaining it. For example, probably 500 times people have said, “Well, there’s no clinical trial data.” There is some, but honestly do you believe the illicit market is in the business of running clinical trials for something that’s illegal? It’s a nonsensical statement. But you can’t get frustrated at that, you simply have to explain. What happens if there’s a drop in interest, or people don’t purchase as much cannabis as predicted? I think the first wave of products are going to be purchased because it’s novel. But there is an obligation of Health Canada to introduce new and more advanced formats or products in the second half of 2019. Not so that you can have a better time or I can run a better business, but so that we can compete more effectively with the illicit market. And so that’s when you’ll see things like vape pens, but more importantly you’ll see things that I would call ingestibles, not edibles. Ingestible means you could drink or chew it. And if we then can make beverages with Constellation Brands [the global alcohol company announced in August that it would make a $5-billion investment in Canopy], items that are clear, that have no calories and trigger a much more positive, uplifting feeling than happens with alcohol, I think that the next wave of products are going to be massively more interesting and popular than the first ones. The “stretching exercise” of the first nine months will have been helpful but not really indicative of what’s going to occur over the duration of the opportunity. Tell me about your perfect day off. What’s one word that your friends would use to describe you? How many hours on average do you sleep per night? Four and a half. I sleep like a rock. I wake up going, “That was awesome.” Except it’s not awesome because it’s two-thirty in the morning. So I get up and patrol our house. I make sure there’s nothing going on in the neighbourhood. What piece of advice would you tell your younger self? I think if it were easy everybody would do it. I have never figured out an easy and direct path to anything. And my mother has pointed that out to me for about 30 years. But it still frustrated me ridiculously early on – that exactly what I thought should happen didn’t happen when I tried it. If you could do it all over again – creating Canopy – what would you do differently? I would probably be a bit more cautious at the beginning. It was such an unusual response I got from everybody that I presented this to. The first three or four people I asked – what do you think of this idea, do you want to start it with me? – they thought I’d lost my marbles. And so then you start wondering: Is this actually a good idea? And so I onboarded a few people early on just because they were willing to do it rather than my usual way, which is I’m pretty demanding. Marijuana companies tend to elicit jokes about high profit margins. But at Canopy Growth Corp., cannabis is a serious, science-based business. North America’s first publicly traded cannabis company – and Canada’s largest medical marijuana producer – has built a credible enterprise by focusing on consistency in its products and strict adherence to scientific protocols. 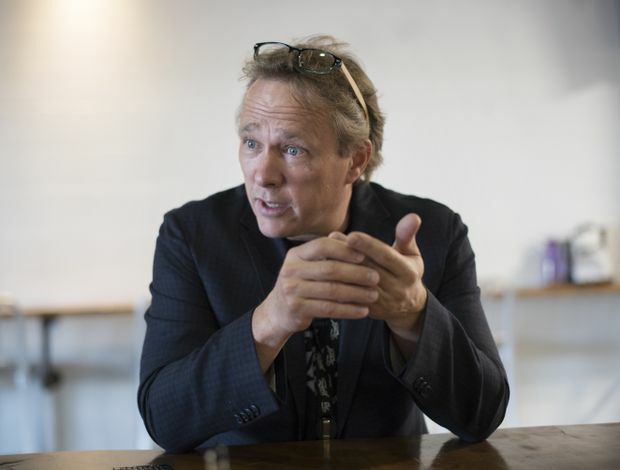 In addition to its first-to-the-stock-exchange status, the company boasts other firsts in its industry, says Bruce Linton, founder and co-CEO of Canopy, which has two divisions, medical and recreational, with businesses spanning from greenhouses and product manufacturing to online and bricks-and-mortar retail. The company has grown its footprint and diversified its operations through internal expansion and partnerships with other industry players. Canopy recently became first to legally export cannabis to the United States, where it will be used for medical research, says Mr. Linton. The company was also the first Canadian producer to get greenlighted to export dried cannabis to Germany. Canopy is also an active educator, offering medical education programs to Canadian doctors. As recently as three years ago, doctors were often the barrier to medical marijuana use, says Mr. Linton. Today, many doctors view marijuana as another potential remedy in their medicine bag. Health Canada data says close to 17,000 doctors to date have provided a medical document allowing a patient to get marijuana from a licensed dispensary. With recreational marijuana soon to be legal in Canada, Canopy is well positioned to become the dominant player in the cannabis industry, says Mr. Linton. The company offers a range of brands and cannabis strains in various forms that include dried, oil and soft-gel capsules. Mr. Linton says Canopy is also working on a “huge array” of other products such as beverages and vapes. What is it like to be first in your industry? The one to disrupt the status quo? I’ll Go First, a new podcast from The Globe and Mail, takes listeners into the minds of Canadian entrepreneurs in leading-edge fields such as artificial intelligence, cannabis and cryptocurrencies. What makes these leaders tick, not just professionally but in their private lives? Episodes are published on Thursdays. Look for them wherever you find your favourite podcasts (including iTunes, Google Play Music) or on The Globe and Mail website at tgam.ca/illgofirst.